Hepatitis C could be eliminated in Canada, but drug prices, screening barriers stand in the way – Most of the 70 million patients infected with hepatitis C worldwide could be cured for $50 US each Many countries — including Canada — have committed to a global goal of eliminating hepatitis C by 2030. But new data released at the summit in Brazil shows that only nine countries are on track to meet that objective — and Canada is not among them. Meanwhile, MSF secures lower price for generic hepatitis C treatment – Dramatic price drops should allow countries to provide treatment for millions of people. On the eve of the World Hepatitis Summit in Sao Paolo, Médecins Sans Frontières (MSF) announced that it has secured deals for generic hepatitis C medicines for as low as US$1.40 per day, or $120 per 12-week treatment course for the key medicines sofosbuvir and daclatasvir. Good news in the US: Vermont and North Carolina Remove Restrictions to Access to Treatment on Medicaid – This is very good news for people with hepatitis C who live in Vermont and North Carolina. Starting today November 1, 2017, the North Carolina Medicaid program will pay for medicines to treat hepatitis C for patients no matter how sick they are. Elevated HBV Marker Increases Risk for Liver Cirrhosis – For hepatitis B virus (HBV) carriers, hepatitis B virus core-related antigen (HBcrAg) levels are associated with progression to cirrhosis, according to a study published online in the Journal of Gastroenterology and Hepatology. 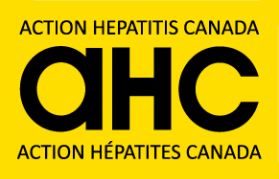 Curing hepatitis C with DAAs linked to 71% reduction in liver cancer – People who achieved a sustained response to hepatitis C treatment lowered their risk of hepatocellular carcinoma by around 70%, regardless of whether they were treated with new direct-acting antivirals (DAAs) or older interferon-based therapy, according to study results presented at AASLD 2017. Maviret cures most people with HCV genotype 3 and those with cirrhosis – This is great news, especially for people with GT3 and cirrhosis. Remember to help us get Maviret (Mavyret in Canada) covered by BC PharmaCare by filling in the Patient Input form. Thanks to Alllicia, HepCBC’s Provincial Coordinator of Events and Volunteers, we were able to be at 2 important events in Victoria this last week: Camosun College Volunteer Fair, and the Aboriginal Health and Wellness Fair – Allicia on the Front Lines.